Gionee always make sure they put smiles on their customers' face with their amazing smartphones with good specifications. 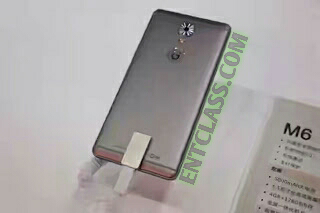 Gionee has launched another two amazing smartphones called Gionee M6 and Gionee Plus with full metal body and nice features. These smartphones as usual came with better battery capacity when compared to Gionee S6 Pro. These smartphones were officially launched in china and we are going to be getting quick rundown of both devices. These smartphones has an OTG cable which allows the phone to charge other phones. These smartphones has a good battery cos Gionee always provide good battery specs for its devices. That's the most reason people opt in for Gionee devices. Gionee M6 is said to be available in about 3 versions which only the internal storage made the versions. The versions will be made upon their internal memory; the 32GB internal storage, 64GB and also 128GB internal storage if possible but all the versions will be coming with the same RAM of 4GB. Gionee M6 is the lower version of the M6 Plus which also has a 5.5inches AMOLED screen display with amazing 5000mAh battery capacity that can take you all day long. The Camera of this smartphone will be 13MP back camera with dual flash and also a fingerprint scanner. Gionee M6 is fueled with Octa core processor hitting 1.8GHz. 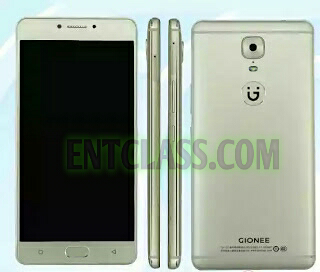 This is the higher version of Gionee M6. Like i said earlier, this smartphone will serve as a power bank to other devices. This means that this smartphone will be coming with an OTG cable which will allow it to charge other smartphones and any other device. This smartphone is a 6inches AMOLED screen display with 1080p resolution. Gionee M6 Plus is coming with an amazing 6020mAh battery capacity which can take you full day on heavy usage. Gionee M6 Plus will be coming with a 4GB RAM and a fast processor of Helio P10 chipset, octa core processor hitting 2GHz. This smartphone will have a 13MP back camera with dual flash and 8MP front facing camera. Also coming with 64GB internal storage. Both smartphones Gionee M6 and M6 Plus will be coming with Fingerprint sensor to make sure the security of these smartphones is guaranteed. Gionee also added some tight security chip that gives 10 layers of security to your data and files. There is also some features Gionee added which encrypt and protect media files and personal data from third party access. According to Gizchina, neither M6 or M6 Plus will be coming with a 3.5mm audio jack and will be released in China, and maybe other countries will follow before the end of this year. WHAT ARE THE PRICE OF Gionee M6 And M6 Plus? There are no official price in Nigeria Naira currency as its not yet available in the country but the range price will be N50,000 for M6. N75,000 For M6 Plus. I really love Gionee smartphones but i will love to use the M6 Plus version. Hmm, the price won't be friendly though as am seeing it. What do you have to say about these smartphones.? I like m6 plus, this will be my next fone.